Army Spouses' Club of the Greater Washington Area - The Mexican Cultural Institute of Washington D.C. 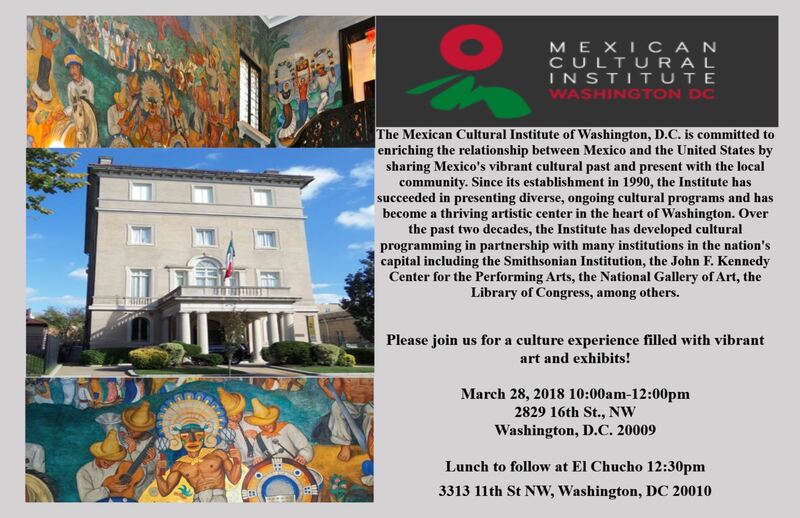 The Mexican Cultural Institute of Washington D.C.
Mexican Cultural Institute of Washington D.C.
Join us for a cultural experience filled with vibrant art and exhibits at the Mexican Cultural Institute of Washington D.C.. Lunch to follow at El Chucho. Space is limited to 40 members.